If you thought you were safe from the Burning Legion until at least November, well, think again. 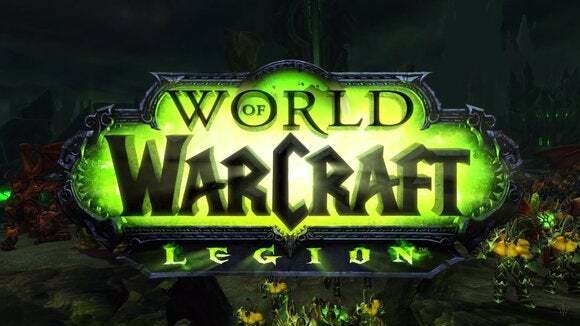 On Monday, Blizzard announced the latest World of Warcraft expansion, subtitled Legion, will release August 30. To recap: Legion is basically Burning Crusade Redux, using the time travel malarkey introduced in Warlords of Draenor to retcon the long-running MMO’s first ever expansion and bring fan-favorite Illidan Stormrage back to life. Which is either “Oh, great news!” or “Damn, Blizzard has run out of ideas” depending on your temperament. There’s also the requisite level bump (up to 110) and a new class, the Demon Hunter, if you’re looking to change things up after a decade of WoW. Also a new never-before-seen location, the Broken Isles, which should please lore fanatics. It’s...well, it’s another World of Warcraft expansion. And it comes at a perilous time for Blizzard. Players (though it could just be a vocal minority) seem pretty annoyed with how Warlords of Draenor panned out. After a strong start, which saw the user base rocket to record levels, Blizzard let the game stagnate for much of the last year and a half. The last content patch was released last June, which in modern MMO terms is an eternity. If Legion ends up being a hit I’m sure all will be forgiven, but people seem pretty rowdy lately—especially since the announcement of this expansion date means little-to-no content added this summer. The beta could tide some people over—you can opt in here—but suffice it to say Blizzard needs Legion to be a hit if it wants to keep World of Warcraft alive.